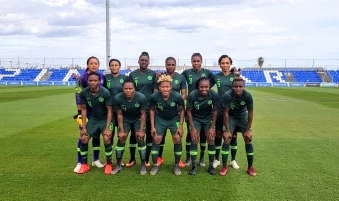 Nigeria’s senior women national team; the Super Falcons on Tuesday left Nigeria for Cote d’Ivoire where they have a one-week training camp scheduled ahead of the 2018 Total Women Africa Cup of Nations in Ghana. The Falcons have been a domineering force on the African continent and their eight championship titles may not even be a full reflection of how unassailable they have been. 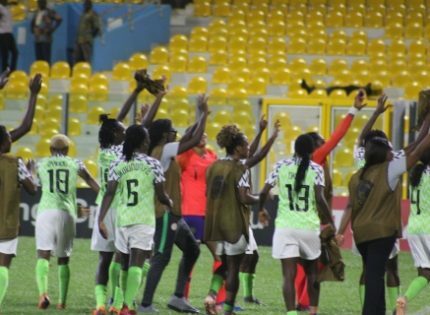 However, the national team as well as the junior women teams in Nigeria have been consistently accorded with utmost disrespect: whether that is a reflection of the society we belong to or not is another matter. 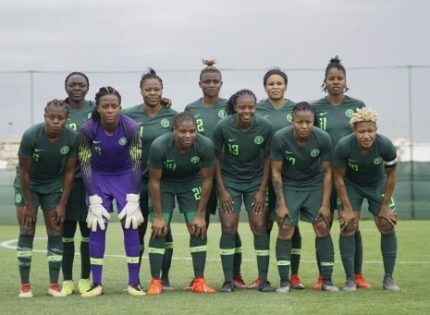 I have combed my dictionary to find the appropriate words to describe the team’s dressing while departing for Africa’s flagship football competition for women on Tuesday morning but I have been unable to get a perfect phrase/word. The girls looked pretty much like some teenagers rescued by NAPTIP from Italy or perhaps like a group of College of Education undergraduates at the peak of their “Rag Day” madness, only a can containing coins left to make for a complete show at the Murtala Muhammed International Airport. “Who are these ones?” A couple of passengers seemed to ask each other. Pray tell who will tell them that these are (or should be) national assets and role models for the girl child in Nigeria? Who are these sheep with neither shepherd nor identity? They are the maidens of Amaju Pinnick, the partisan father of only men playing the game, and lip-service benefactor of the women. Tuesday’s show just confirms what we all know: The NFF do not give a hoot about Women’s football. No matter how they convince you or will try to do after this, the truth can not be covered. How did this team go twelve months without a single match after their conquest of Africa in Cameroon two years ago? How did the Under-17s fail to qualify for the upcoming FIFA Under-17 Women’s Championship? Because the NFF appointed a coach for the team just a couple of weeks to the start of the qualification series – little wonder they did not win a single game till they were eliminated by Cameroon. 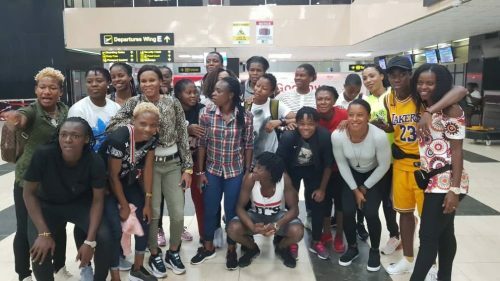 How did the Falconets prepare for the last World Championship in France? Lonely, isolated and packed in buses like prime Sardines to and fro their training sessions. Executive jet for the Super Eagles vs Executive pain for the Falconets. 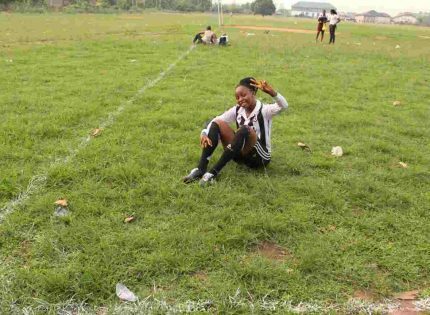 To rub salt to injury, a video of the messianic Sports Minister where he was “dashing” the team some dollars went viral, the captain Kemi Famuditi kneeling to count the cash like a bride starved of conjugal coming together until wedding night. 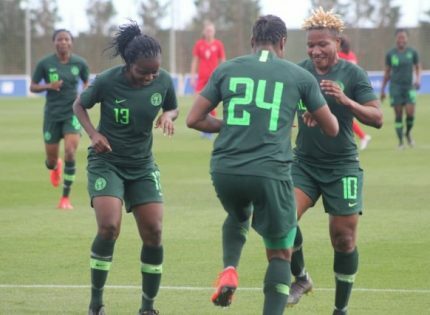 Nigeria's Sports Minister Solomon Dalung gave money to the Under-20 Women team, the Falconets. Something seems not quite right? The confusing smile, Bartimeus leg shake? The team captain's Syrophoenician kneeling? What more? Whenever new kits are released for the national teams, it would take months before it ever gets “down” for the use of the women national teams. How much more shall this continue? Today’s Masquerade Parade of Nigeria’s Super Falcons in the nation’s busiest International Airport is simply a scandal which has by its own aptly portrayed how women’s football has fared under Mr Pinnick. For a team so successful and consistently sacrificial, the disdain with which the current administration of the Nigeria Football Federation (NFF) led by Amaju Pinnick treats them is nothing worthier than that of slavery. 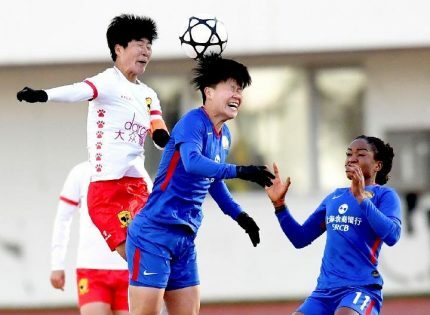 The will power of the ladies is such that they will still go to Ghana, dust their contemporaries and land another title for themselves but will that erase the tearful scars of neglect and disdain they have suffered? 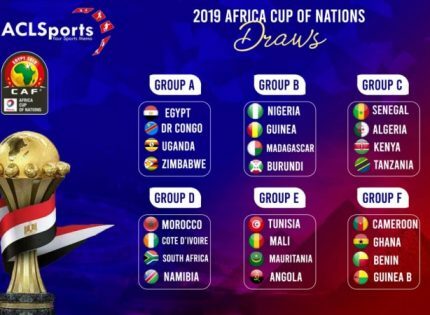 While their Group B opponents – South Africa, Zambia and Kenya – are busy engaging in top graded friendly games, our maidens are facing boys team such as Dominion Hotspurs. What a world. The NFF might have done well in finding the team a good camp base in Epe, Lagos but that is just like a snap of the finger in a Reinhard Bonnke crusade. “The chief coach suggested this mode of travel to the team since they are not heading to venue of the competition for now, destination at the moment is Abidjan for training camp. 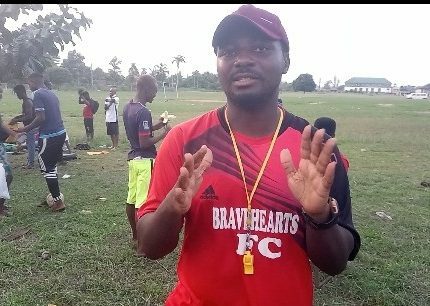 “The coach believes entering Cote d’Ivoire quietly without Nigerians and nationals of other opposing countries noticing their presence in the country will be a good idea, this he said would help the coaches and players concentrate without distractions. 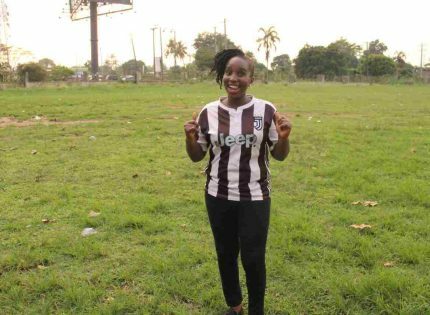 “On Monday morning the Falcons went for medicals in Ajah area of Lagos on mufty, at an highbrow medical centre, WellMed Medical Centre just by the road after Ajah roundabout and nobody noticed them for over five hours that the team was there. “The team will surely go with team uniform from Abidjan to Ghana. The Super Eagles went to Sfax, Tunisia in national team uniform as they were going for a match, but while returning, they were all cladded in mufty since they were not coming for a game,” so says veteran journalist Dapo Sotumininu. It’s absolutely disgraceful and typical. Now the World Cup is over, perhaps more than a little attention will be (fleetingly) paid the famous Falcons.